This is one of the most talked about bingo sites. The T.V. advertising and marketing is part of their success. This fantastic bingo site has so much more than bingo to offer its players. 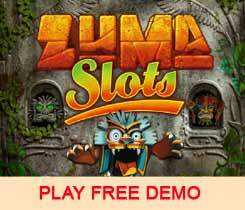 With various side games video slots, classic slots, casino games,video poker and scratch cards. There's something for everybody. The homepage is designed in Royal blue and Barbara Windsor (The Queen of bingo) is focused throughout the site. The layout of this website is easy to navigate with bingo and top games listed on the right hand column. Also, information about the latest promotions, winners and the 'shop of joy', which is bursting with brand new prizes. The site is perfect for both new and existing bingo players, follow the getting started guide where any questions you might have will be answered by the friendly chat team or live help agents. It's easy to see how Jackpotjoy has reached such a high level with their professional team work. The bingo rooms have an exciting background designs that will ensure that bingo players truely enjoy their chosen game. You'll find a host of useful features including afun Chat Room with exciting Mini Games located inside the bingo game window. The variety of games on offer are a real treat for bingo lovers, witha selection of 75 and 90 ball platforms which deliver great game play with unique fun twists to the age old classics. Jackpots are everywhere with amazing Bingo Progressives and Slots that have had huge Progressive Jackpot winners all the time. 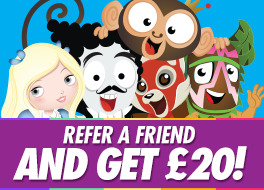 You'll receive your Welcome Bonus after you make your first deposit of £10 and get £25 to play on any of your favourite games. That's a massive 250% bonus. The cash giveaways are for ever changing so a frequent visit to the website to keep up to date with the latest offers is always recommended. Earn Joy Points every time you play your favorite Bingo games. If you are a shopper, than you will love The Shop of Joy where you can buy some fantastic prizes with your Joy Points. Look for specials to double your Joy Points and watch them grow. Bingo players will love this site for its great Jackpots on offer. Because of the huge traffic they have acquired they can pass that on to players in a big way with Guaranteed Jackpots. Owned by: Profitable Play N.V. Currencies Accepted: Euros, U.K. Pounds, and U.S. Dollars.